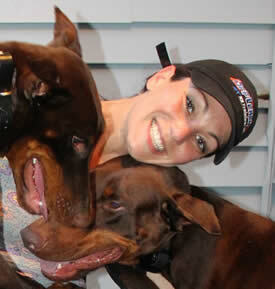 Jacqueline Zinetti is the Owner and Head Trainer of the NY/NJ Metro Area Off Leash K9 Training location. She grew up on Long Island in NY and now resides in Paramus NJ with her husband, Matthew, and their menagerie of foster and resident pets. Jacqueline has been raising and training animals of all kinds since she was a young girl. Her spare time is devoted to rearing her own pets, as well as fostering and training other animals through volunteer work. After over 10 years in a successful sales career, Jacqueline decided to pursue her dream of working with animals full time. Jacqueline’s first experience training animals came with Shadow, a Coyote German Shepherd mix, living on a horse farm in Saratoga Springs NY. Shadow was feared by the farm community because of an incident when she chased and bit a child on a bicycle. As a result, Shadow was chained to a tree for more than a year. Though her basic needs were attended to, she lacked any human contact until Jacqueline arrived. With persistence, Jacqueline was given permission to take Shadow off the chain as long as she was kept leashed at all times. Over the next few months, Jacqueline worked with Shadow until eventually Shadow was off leash and working as Jacqueline’s partner to herd the 30 horses that lived on the farm. Upon deciding to change careers in 2011, Jacqueline trained for over a year, averaging 60 hours per week researching, applying, and comparing different training methods and philosophies. As a trainer, it is imperative to understand different methodologies in order to optimize your craft, share learnings with other professionals in the field, and keep up with current thinking. Jacqueline’s rescue Chihuahua, Mr.Chico, was happy to play guinea pig, helping her to hone her skills. Mr Chico is a shining example that whether a dog is 5 pounds or 150 pounds, the same philosophy of consistency, fairness, and clear communication can be applied. Jacqueline’s two resident Chihuahua’s are both certified therapy dogs. The family volunteers regularly with children and adults who need a smile that only a dog can inspire. Jacqueline also works full time with Eleventh Hour Rescue, a nonprofit, volunteer-based rescue operation out of Randolph NJ. Jacqueline’s home is a temporary refuge for a variety of foster dogs; puppies who may be days old and in need of hand raising, scared dogs who come from abusive homes who need to learn trust again, or lonely dogs that just need a belly rub and a smile. This volunteer work allows Jacqueline to use her well-studied knowledge to help dogs of various sizes and personalities find and adapt to homes for these grateful pups. Jacqueline is thrilled to bring Off Leash K9 Training to the NY/NJ area. Specializing in the same dog training techniques used by the military and law enforcement, this style of training encompasses her core beliefs and philosophy of consistency, fairness, and crystal clear communication. 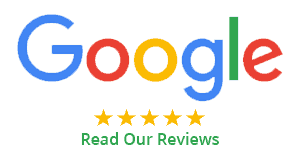 If you are looking to maximizing your dog’s natural abilities and have an obedient pet that you can control with ease, contact Jacqueline Zinetti, Master Dog Trainer. Expert Training for all breeds, all ages, and all issues.